Premium Pent 640, 650 and 660 complete with shelf and 6' workbench. Product on display at selected GBC sites. Premium Apex 640, 660 and 680 complete with shelf and 6' workbench. Product on display at selected GBC sites. 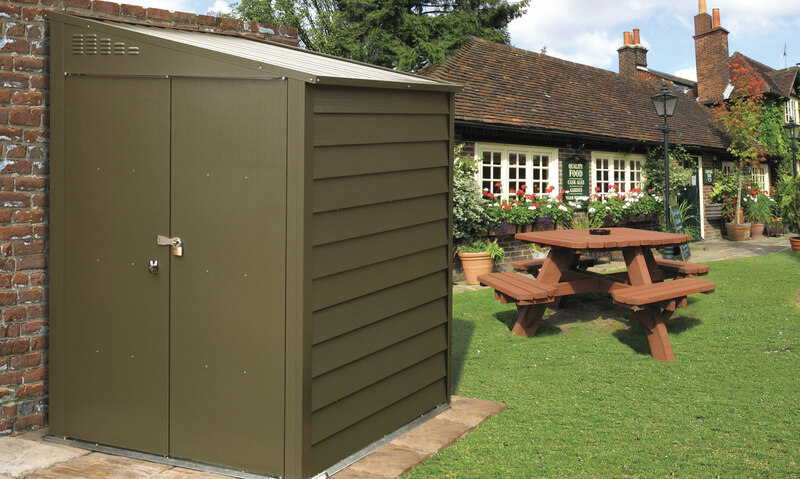 The Trimetals standard range of Titan sheds are generally regarded as the highest quality and most secure metal sheds available and are therefore perfect for general use - however there can be applications where an even higher security specification is required, especially for professional or heavy duty applications. 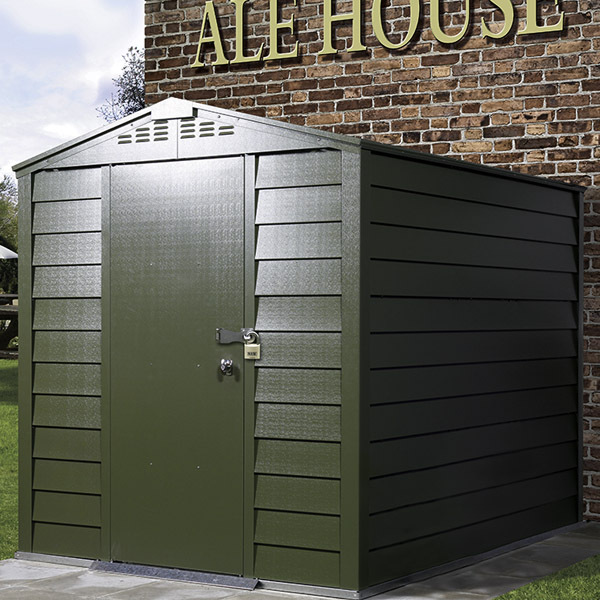 With this in mind we have launched our bespoke new Professional Range of high security sheds, which are the strongest, most secure selection of storage buildings we have ever produced. They include a number of enhanced security features and are manufactured from panels which are approximately 40% thicker (compared to our standard range). Due to their vastly increased strength and rigidity they are suitable for the harshest environments and offer unrivalled security making them suitable for the professional gardener or landscaper; they are also ideal for schools, sports clubs, guest houses, pubs or commercial use. 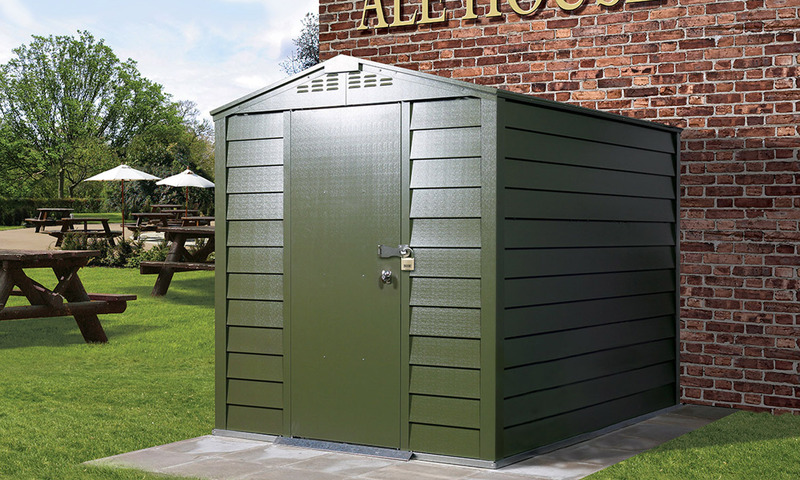 They also offer the ultimate in garden security and are highly recommended in exposed areas or where expensive machinery is stored. Six models are produced in both Apex and Pent roof styles, please note some sizes are unique to the Professional Range and are not offered in our standard range. 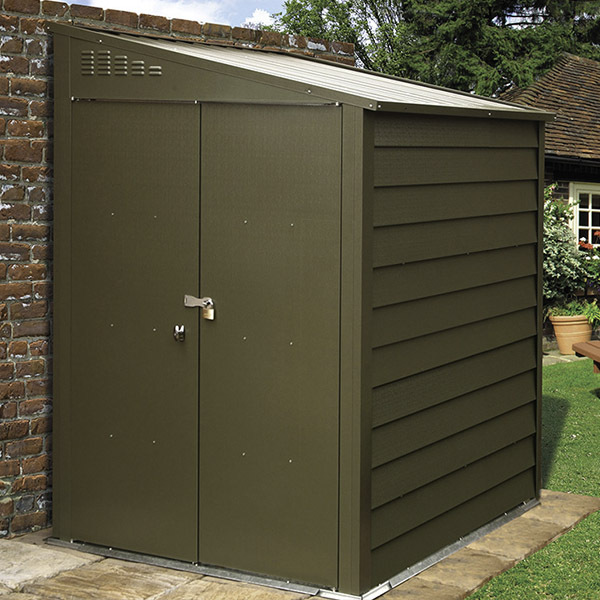 Premium sheds are not supplied with windows (for extra security) although these may be included as an option on the Apex models; other options include metal benching, shelving and exterior grade wooden floor. This range is only supplied direct from Trimetals or from GBC show sites nationwide, many GBC show sites have our Professional Range on display. For the location of your nearest GBC showsite click here.